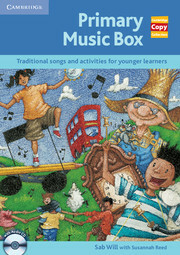 Part of the popular Primary Copy Collection series, Primary Music Box contains songs to help teachers consolidate language learning in an appealing and memorable way. This collection of photocopiable song-based activities, with clear step-by-step instructions, helps teachers cater for different learning styles. Lesson plans are flexible and divided into steps to make time management easy. 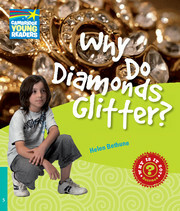 Whether you need a ten minute or whole lesson activity, this book has something for you! Photocopiable activities give the teacher flexibility and choice. Clear, step-by-step instructions make the activities easy for even the busiest teachers to use. Song-based activities with follow-up ideas for every lesson encourage further learning in a fun way.